Home › Crew Supply Vessel › Fast Crew Supplier › Fast Crew Supplier 2610 › Fast Crew Supplier 2610 "Seagull"
On June 29, 2013, the Fast Crew Supplier 2610 ‘Seagull’ was delivered to Sea Consult. She was sold to this new Danish customer mid-June in Bremen during Windforce 2013. 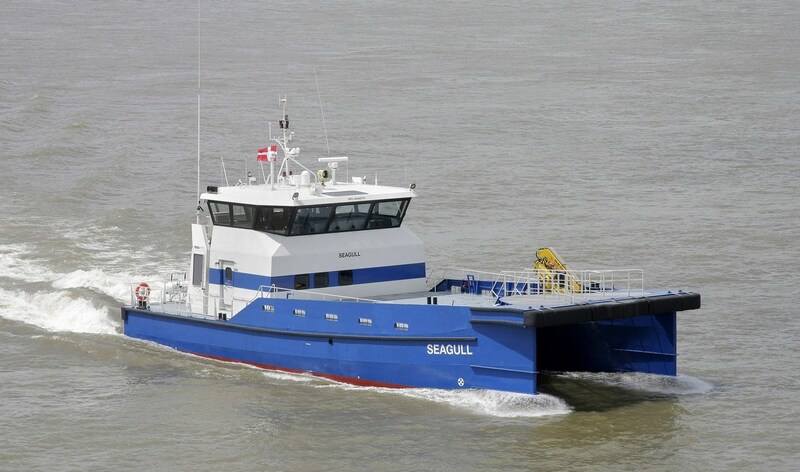 ‘Seagull’ sailed on her own keel to Marstal (on Aeroe Island, Denmark), and serves offshore wind farms off the coast of Belgium.